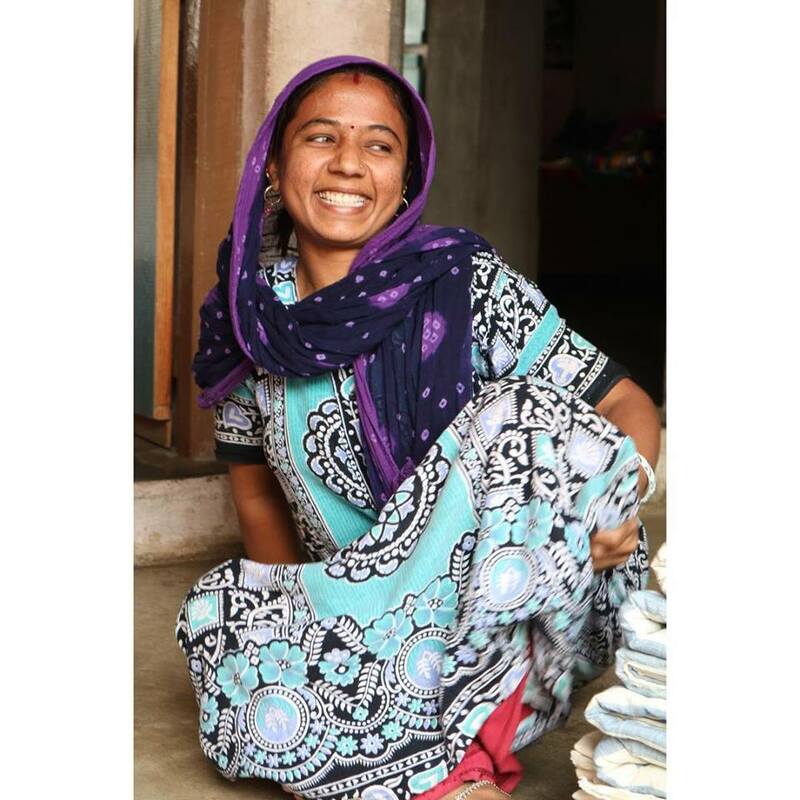 “Our trip to India, tracing our supply chain kicked off with 3 incredible days with one of our suppliers – Khamir -who are based in Bhuj. Khamir is an NGO that supports the local heritage crafts such as spinning and weaving as well as working with the farmers of Kala cotton. 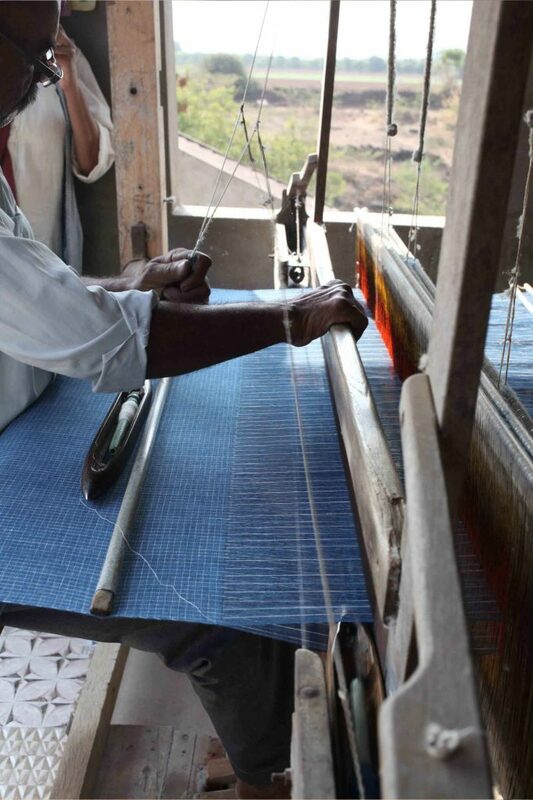 Located in the desert region of Kutch, this area has a rich tradition of farming and traditional crafts, all of which Khamir are working hard to keep alive and relevant in today’s market. An early morning ride from the rail station to Khamir. On visiting we stayed at the Khamir site, a place which immediately felt like home. a calm, tranquil complex that gives off an unforgettably peaceful energy, it’s set up not only as the headquarters but also as an off-the-beaten-track destination. Anyone is invited to stay at Khamir, visit the surrounding craft villages, take meals with staff and other guests which could include designers, researchers, buyers, classes of school children. We were lucky enough to time our trip with the Kala cotton exhibition – such a helpful start before visiting the cotton fields themselves. Taken under the wing of Aziz, the production manager, we visited local craft towns, Kala cotton farms, and the homes of spinners and weavers. 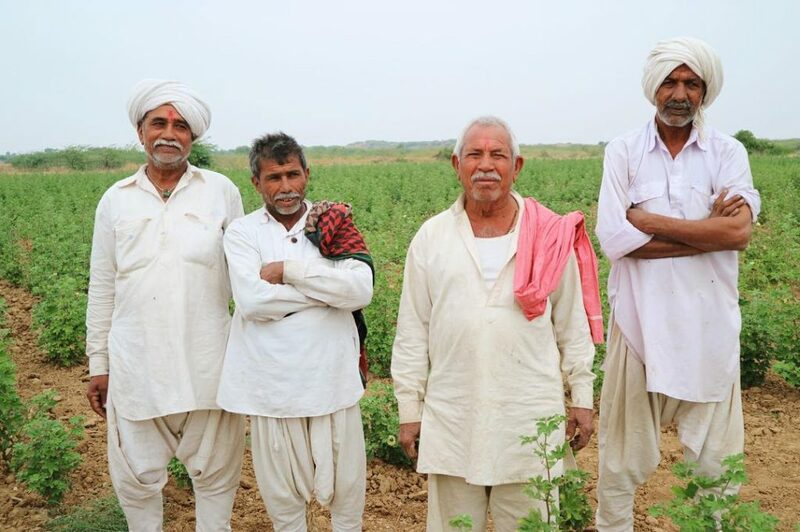 With the cotton market in India now weighted to 95% genetically modified seeds, this indigenous drought resistant cotton is a miracle to come across. 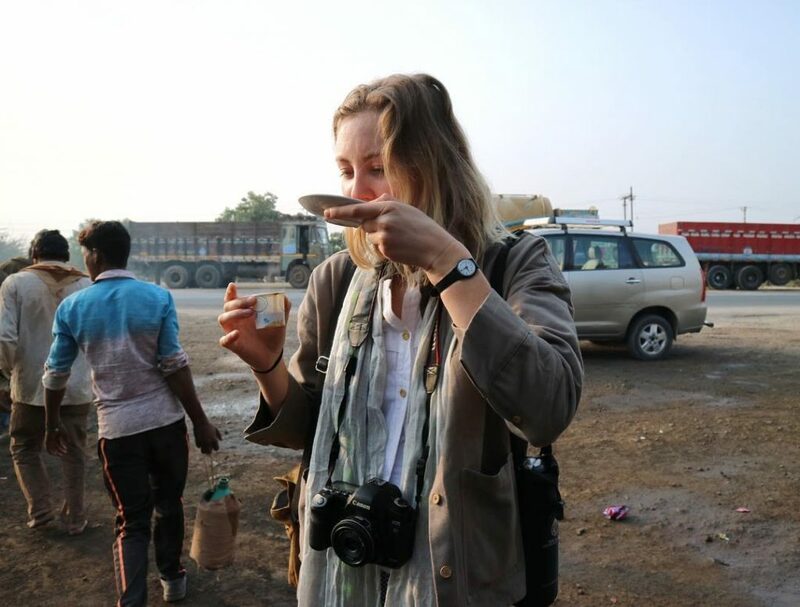 Enjoying a cup of masala chai on the roadside. Travelling from London, this arid landscape felt otherworldly, as if time had stood still. Technological developments have yet to touch the communities we visited, helping to preserve the traditional skill base and heritage trade of the area. 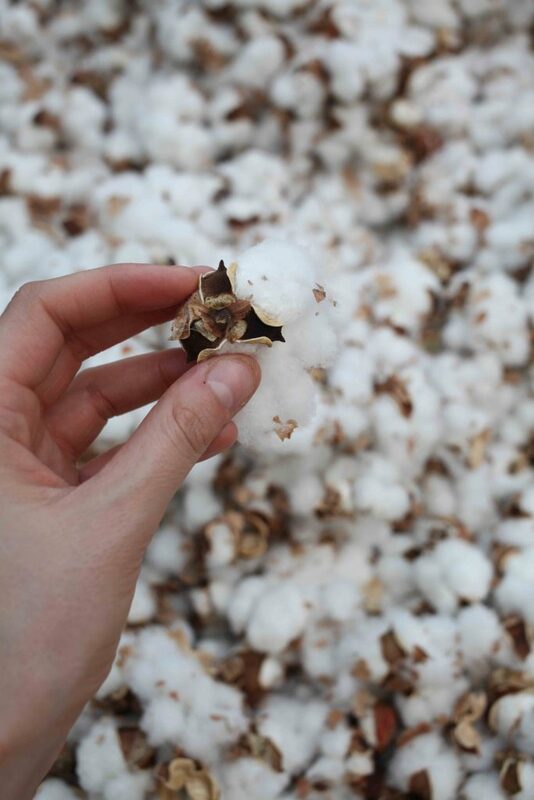 Having been farmed in the regions for 7000 years, Kala cotton is resilient to the climate as well as the local pests that threaten to destroy crops. The field we visited had grown from no rainfall at all and would yield enough fibre for 9,100m of fabric. Since the introduction of BT cotton most indigenous varieties have been all but lost, but it is these varieties that understand the land and work with the climate, not against it. As one farmer put it, ‘Kala cotton is as old as the land is here’, and its reliability and capability to grow even through a drought shows its resilience. With the cotton market in India now weighted to 95% genetically modified seeds, this indigenous drought resistant crop is a miracle to come across. We were also lucky enough to visit the spinners and weavers who work from their homes, sometimes with three generations under one roof sharing their expertise and the skills of their trade to the younger generation. We were completely blown away with the unbelievably complex and time consuming process of weaving. Again coming from London where everything should ideally be done yesterday, it was jaw dropping to see the meticulous efforts and patience that goes into producing this hand made fabric. 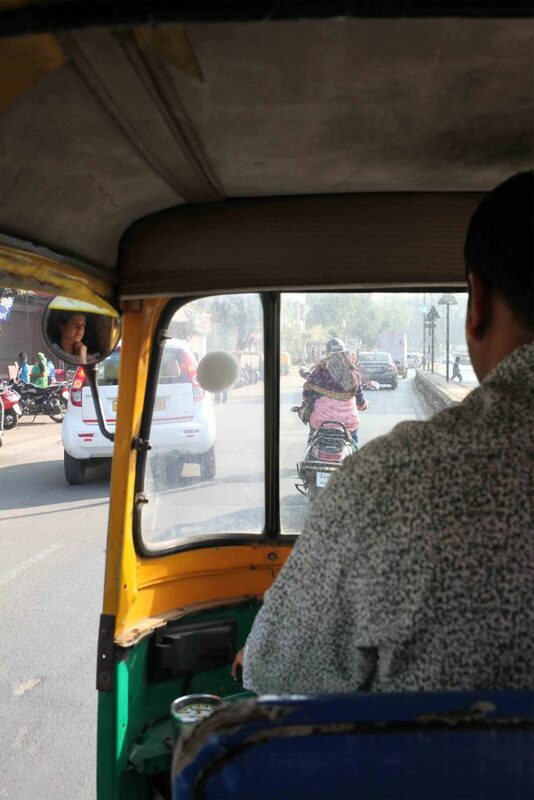 the weave designs we saw were stunning and are also crafted using vegetable dyes. I am so excited to design shirts (and more!) using this fabric. “It was jaw dropping to see the meticulous efforts and patience that goes into producing this handmade fabric”. We loved seeing the handiwork of this talented lady from the weaver family we visited. She was shyly standing in the background until her family showed us her beautiful patchwork and hand embroidery work. The piece she showed us had taken a year to make and is the pride and joy furnishing of the family home. Educated at the London School of Fashion and with a background in pattern cutting, Henrietta’s “aesthetics is merged with the technical knowledge of creating a great fit and feel in garment”. With a control over the whole process – from concept and pattern cutting to design – she can create exactly what she has in mind. The design process evolves in a fluid and organic manner. Henrietta’s collection include women’s shirts made from organic khadi and organic handwoven cotton. Customers have been attracted by their soft and airy feel. Henrietta’s business is informed by a commitment to source organic material and the principle of minimum waste. Shop for HENRI products here. 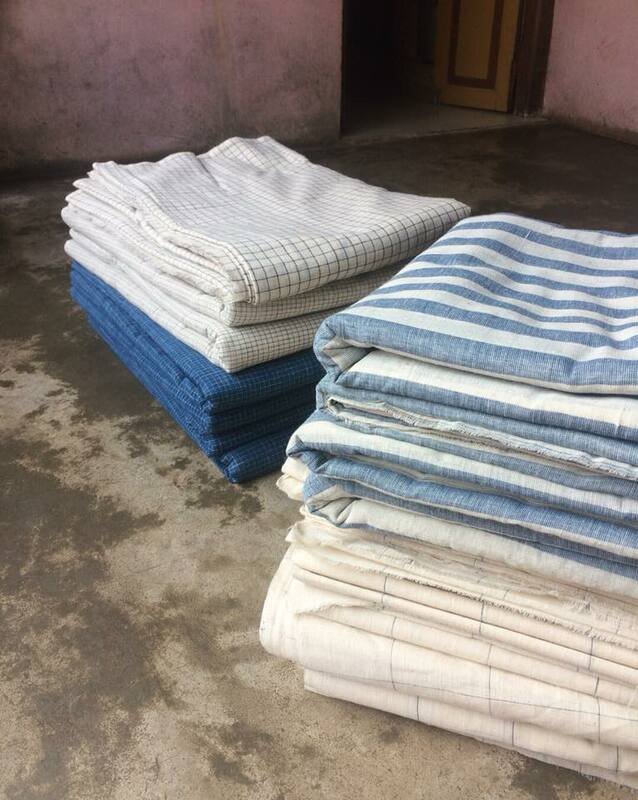 Contact us if you are interested in sourcing Kala cotton fabrics.